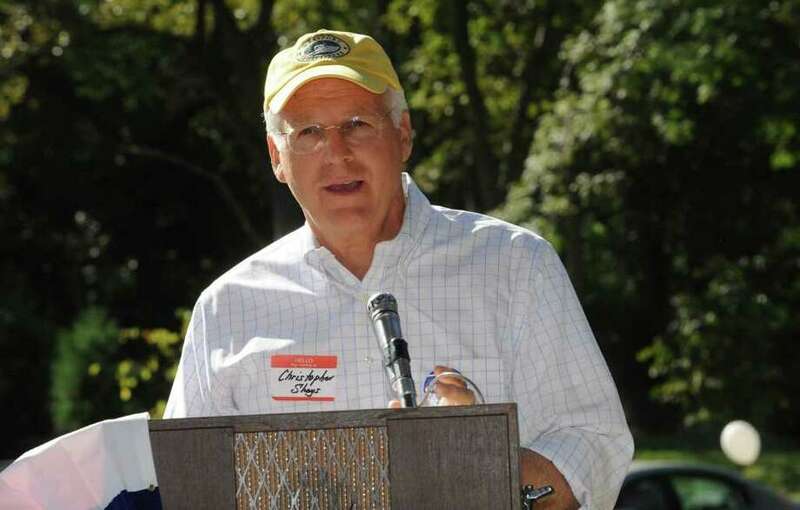 Former U.S. Rep. Christopher Shays speaks at the Cos Cob Republican Club and Republican Town Committee's 80th annual clambake Sunday, Sept. 18, 2011, in Cos Cob. He's ready to be candidate Christopher Shays. The former 21-year GOP congressman testified before his former colleagues on Capitol Hill on Tuesday as his final act as co-chairman of a federal Commission on Wartime Contracting in Afghanistan and Iraq -- about the only thing standing between Shays formally entering the 2012 race for U.S. Senate in Connecticut. Shays planned to file the requisite paperwork to run after his testimony, though a spokeswoman for the secretary of the Senate said it hadn't been received as of 4:30 p.m. Tuesday. In an interview on the eve of his testimony, Shays said that he has loaned $70,000 in seed money to his nascent candidacy, started moving furniture into his Stratford campaign headquarters and hired some staff whom he would not identify. "For me, this is a campaign about helping this great nation realize its potential," Shays said. "It is beyond comprehension that we are seeing a government that is literally bankrupting our kids. I know that I can make a very big difference, particularly as a senator." "If Chris Shays thinks Connecticut voters have forgotten that he was President George W. Bush's go-to guy, he's sorely mistaken," Nancy DiNardo, the state Democratic chairwoman, said in a statement. 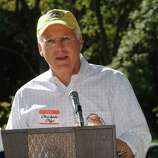 "Chris Shays has liked to portray himself as a moderate, but the fact of the matter is that he voted with Bush and the Republican leadership on every critical measure ... He defended the Iraq War, and he supported the disastrous Bush policies that got us into this economic mess." Shays contested that characterization, however. "In eight years, I voted with him 48 percent of the time," Shays said of Bush. "Frankly, I think President Obama has made President Bush look good in comparison." Shays' entry into the race puts him on a collision course with fellow Republican Linda McMahon, the party's 2010 Senate nominee and deep-pocketed matriarch of professional wrestling, who declared her candidacy Sept. 20. Shays has re-established residency in Bridgeport after moving to Maryland for his work on the contracting commission. McMahon shattered the record for self-funded candidates in Connecticut during the 2010 race, won by Democrat Richard Blumenthal by 11 points, when she spent $50 million of her wrestling fortune. A casualty of the 2008 election, when he was the lone Republican House member from all of New England, Shays blamed President Barack Obama for the partisan divide in Washington, saying that health care legislation pandered to his most loyal supporters.